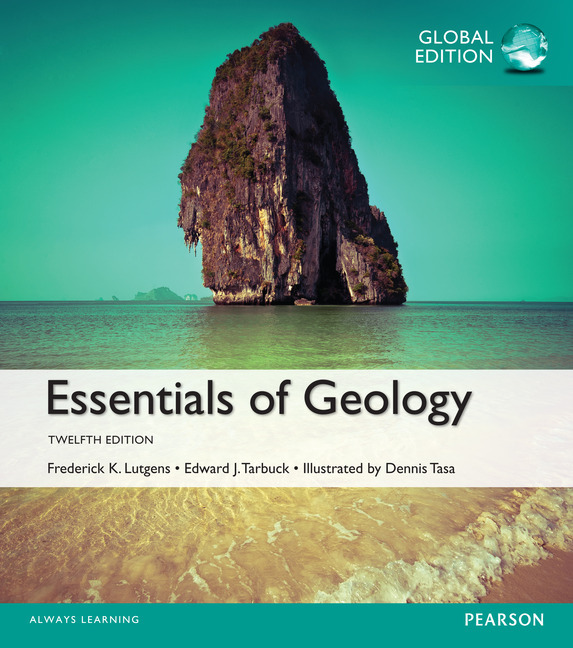 From the renowned Lutgens/Tarbuck/Tasa team, the Twelfth Edition of Essentials of Geology continues to elevate its readability, art program, focus on basic principles and instructor flexibility. This revision incorporates what has historically made the text a best seller with a new active learning approach throughout each chapter, which offers students a structured learning path and provides a reliable, consistent framework for mastering the chapter concepts. It also includes new additions to its learning path, mobile field trips, and visual program. · Teach with an active learning path that emphasizes learning objectives, tie questions back to objectives, ask students to analyze, synthesize, and critically think about core concepts, and break down chapter content. · Engage students with an art program that supports a structured learning path with its bold magazine-like design. · NEW! Expanded active learning path that consists of four main parts: Focus on Concepts, Concept Checks, Give It Some Thought and Examining Earth Systems. By breaking up chapters into smaller modules, the text changes the way that students learn and retain information. Rather than passively read through long passages of exposition, they can absorb manageable bits of information, assess their knowledge of it, and go back and review the material if needed. o Focus on Concepts is a numbered learning objective feature that corresponds to each major section of the chapter and identifies the knowledge and skills that students should master by the end of the chapter. This feature helps students prioritize key concepts. o Concepts Checks: Within each chapter, every major section concludes with “Concept Checks” that allow students to monitor their understanding and comprehension of significant facts and ideas. o Concepts in Review are end-of-chapter features that coordinate with Focus on Concepts, beginning chapter features. This feature provides a concise overview of key ideas by using photos, diagrams and questions that test students’ understanding of core concepts. o Give It Some Thought (GIST) These questions and problems are found at the end of each chapter and challenge learners by involving them in activities that require higher order thinking skills that include the synthesis, analysis, and application of material in the chapter. · Illustrations: Dennis Tasa, a gifted artist and respected geoscience illustrator, continues adding outstanding illustrations in this edition. Truly an extension of the written story of geology, Tasa’s illustrations now show greater color and shading contrasts, more “narration,” and additional photo comparisons to guide students more clearly than ever before. · Geologist Sketches are incorporated into the text’s visual program, where particular photographs also lay next to a sketched version of the same image. This visual feature encourages students to see the world through the eyes of a professional geologist. · Revised art program re-conceptualizes approximately 50% of the figures and photos. · Eye on Earth chapter sections provide aerial or satellite views that challenge students to apply their understanding of basic facts and principles. A brief explanation of each image is followed by critical thinking questions.